Our kombis have featured on television, in print, in advertisements and in promotional campaigns. 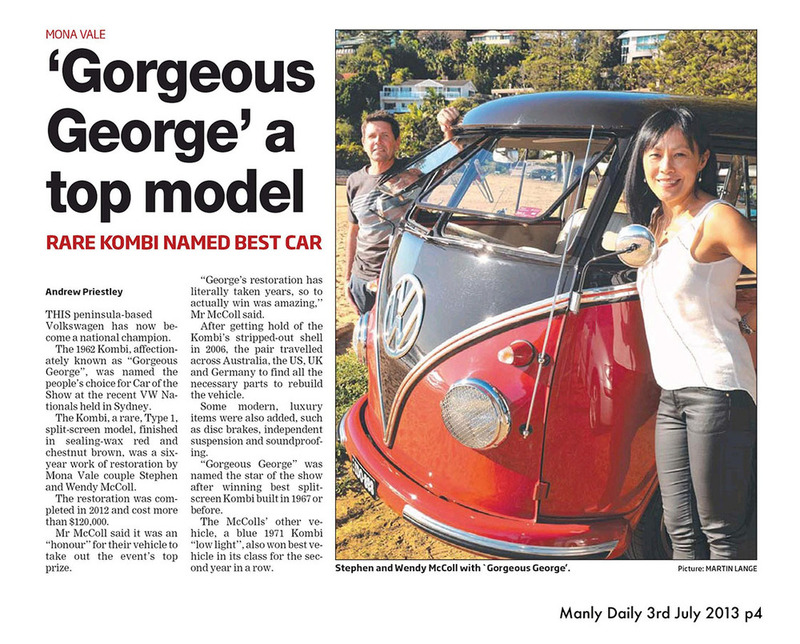 Jo featured in every Glue Store in Australia and most recently, both George and Jo had guest appearances in Volkswagen's latest campaign. See two of Jo TV advertisements. Click on the pictures below to go to the YouTube clips to see the Magic Bus in the first Mahalia Barnes Weight Watchers advertisement and a beach safety campaign by the NRMA.